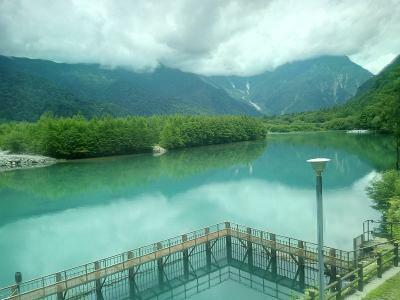 Usually when you come to Kamikochi from Matsumoto, you take on a train and a bus. Rarely you can come to Kamikochi directly only the bus. Unexpectedly there was a bus crew who is from Philippine and speaker both of Japanese and ENGLISH. She guided the town, products, specialities in the towns all on the way. I have been here for years but I didnt know some of them. It was good short trip to come back Kamikochi. You might enjoy with that.